I like to wear skirts, but dang those Chicago winters. If you don't want to wear thick tights around every day (though it's handy to have a couple of pairs of those, too), here's an alternative to waiting for the train in a skirt. Legwarmers! I decided to do a LONG pair of legwarmers, so that the cold air didn't hit the tops of my legs. I took three measurements to make these: around the widest part of my thigh, and around the narrowest part of my ankle. 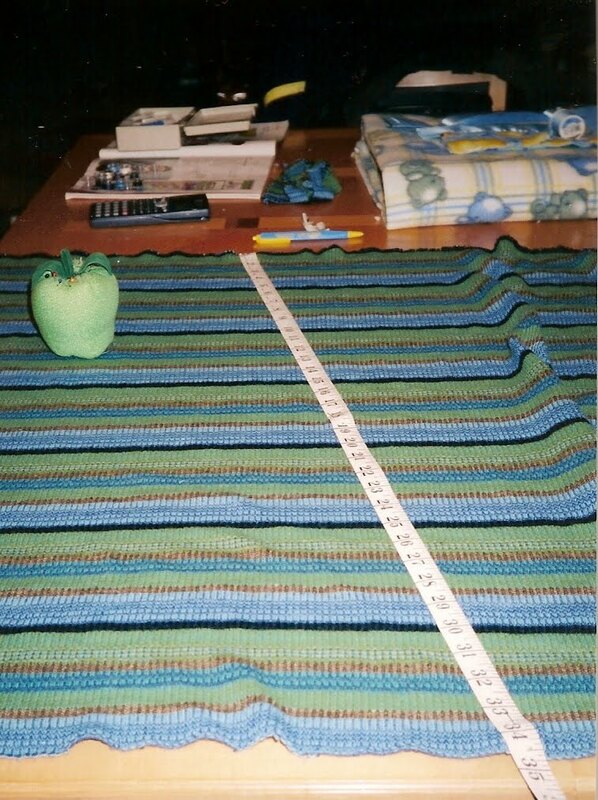 Then I measured the length from one to the other. I basically made a long cone. 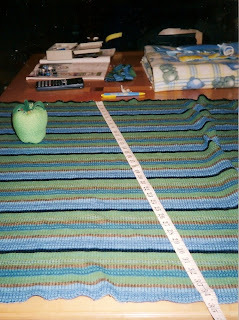 There were stripes in this material, so I matched those up. Then I just hemmed the top and the bottom. I also placed a hemmed slit in the bottom at the back, so that I could get the narrow part over my feet when I pulled them on. I also sewed some elastic around the top, so they would cling around my thighs and wouldn't fall down easily. I used a piece of elastic that was just smaller than the measurement around my leg, and stretched it as I sewed it in. These pull on right over pantyhose or tights, or keep you warm until you get where you are going if you are wearing neither. I might one day sew some short zippers into the back at the ankle, because at this point, you have to pull your shoes off, then pull these off, and then put your shoes back on. Still, I like 'em, and I like the sort of witchy-poo look they came out to having. 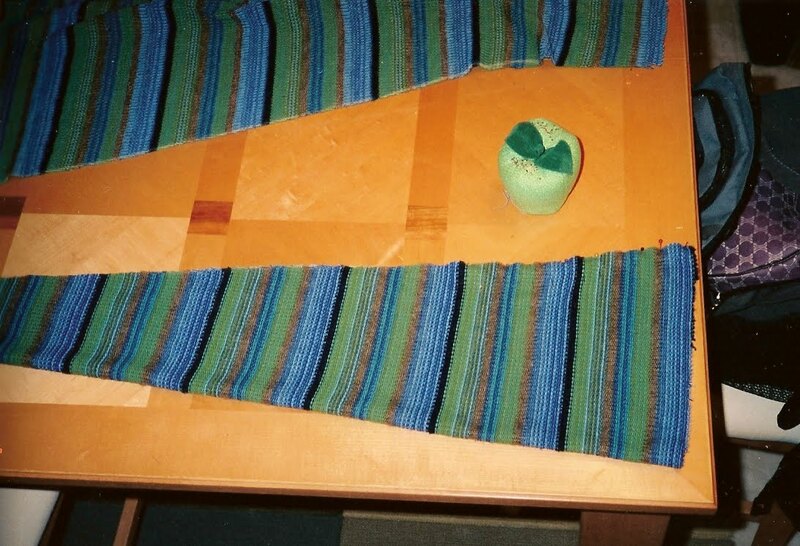 I especially like the way I seem to have matched up the stripes pretty well! Those are super cool! I love them. Then again, maybe I would just wear them to be the most stylish witch on the block. And I would totally wear the boots. I used to have a brown pair similar to them back when I was in the world of the working. A couple people referred to them as my Old Lady School Marm boots, but I loved 'em! Hee hee. I've had those boots since high school, when I scoured the earth for witchy stuff, which is now crazy easy to find. I just gave them away, and I thought too late that I should have given them to the theatre group. Brooke, I'm so glad you are still using Eli's binky!